The utility will be building more weather stations, shutting off power during wildfire threats and burying wires underground to prevent destructive fires. 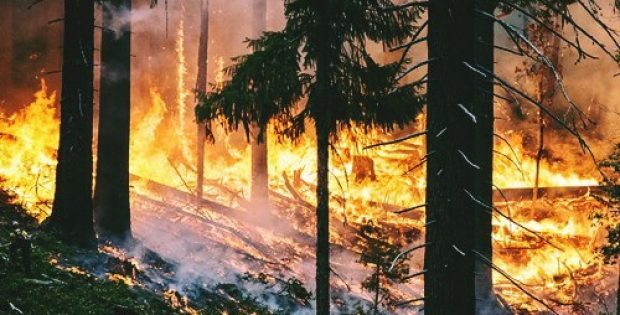 Pacific Gas & Electric Corp., the largest utility company of the U.S. recently announced that it will be overhauling its wildfire-prevention measures in the face of mounting public, legal and financial pressure that accused the company of being responsible for some of the most destructive wildfires in the history of California. PG&E declared in a regulatory filing that it proposes to build weather stations, shut off power to approximately 5.4 million customers during times of wildfire alerts and fireproof miles of its wires in a bid to mitigate the disaster. It also promised to increase inspections, work with forestry experts and cut more trees to lessen its role in starting wildfires. For the record, in response to the destructive 2017 wildfires, a new state law was passed which mandates California’s utilities to file their wildfire-prevention strategies with the California Public Utilities Commission. Before the tactics are adopted, the agency has arranged for several public meetings to amend and review the proposals. According to reliable sources, William Alsup, U.S. District Judge, has threatened to impose far-reaching prevention measures on PG&E, which the utility said could cost more than $150 billion to implement. Alsup passed the ruling that PG&E’s response to a 2017 wildfire violated probation terms. The terms were imposed in a felony conviction that was brought about in 2010 for a fetal pipeline explosion in a San Francisco suburb. Alsup suggested that PG&E should intensely inspect and document its 2,400 square-mile electrical system and take steps to trim or remove trees that are coming in contact with equipment and can start a wildfire. In response, PG&E said such measures can lead to the removal of more than 100 million trees. PG&E removed 160,000 in 2018 and has proposed the removal of 375,000 trees in 2019. Last year it inspected 9,400 poles and plans to increase pole inspections to 40,600 this year. It already has 200 weather stations and plans to build another 200. It also proposed to insulate or bury at least 150 miles of wire next year and 7,100 miles over the next 10 years.